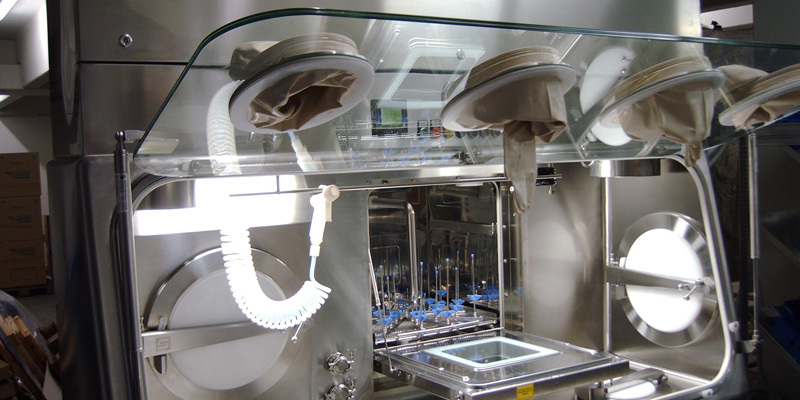 Work involving highly toxic substances is performed in toxic isolators. Personal and environmental protection is consequently a mandatory requirement. 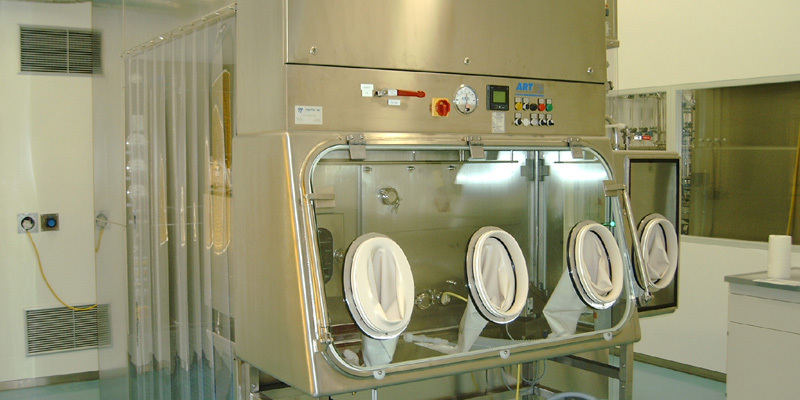 The substances in question are frequently sensitive to humidity and/or oxygen, and require certain processing conditions. For cases such as these, we create customer-specific operating modes. 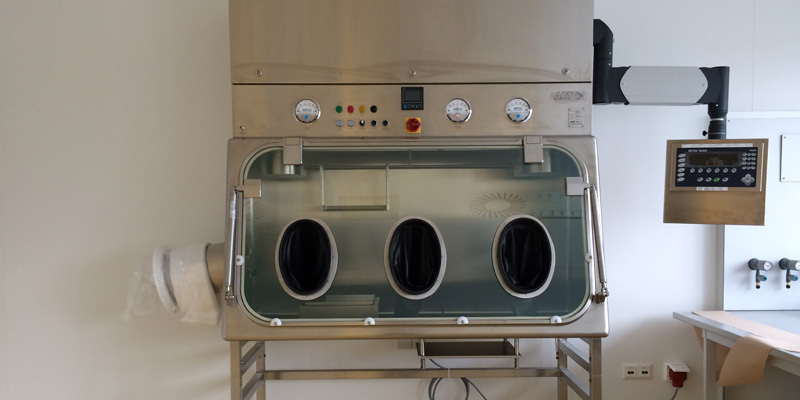 The systems are designed and built in an ex-proof version, and this also applies to all the relevant devices and components, with explosive gas protection possible up to zone 1 and explosive dust protection up to zone 21. 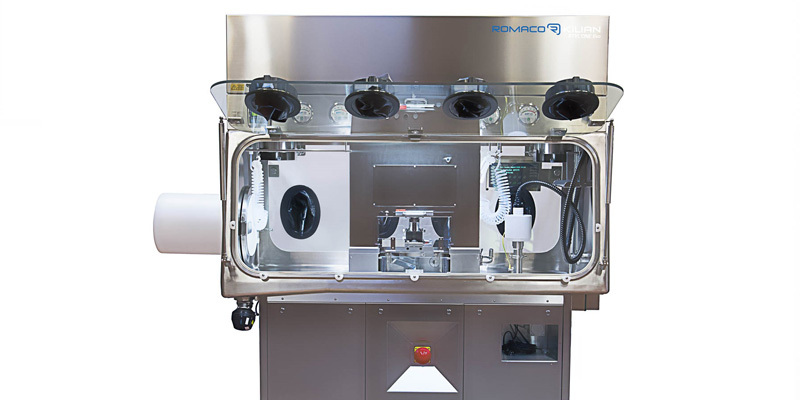 The processing of toxic substances requires process machinery such as tablet presses, mills or fluid bed granulators. 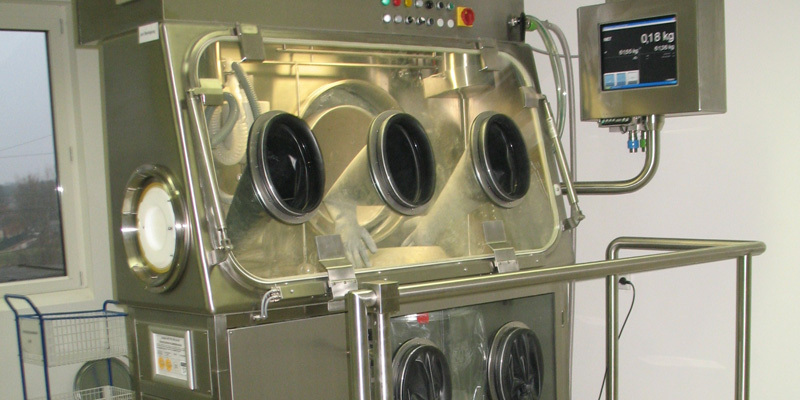 These process machines are integrated into the isolator or attached to it. 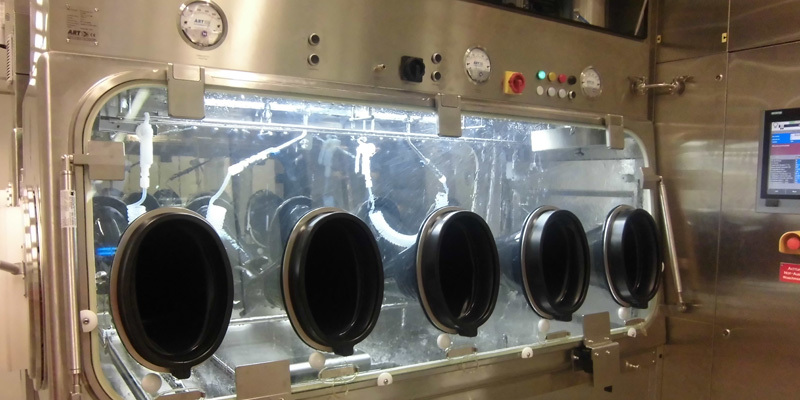 To guarantee that no highly toxic substances are able to escape at the interface between the isolator and outside area, material transfer takes place using interlock ports or RTPs.